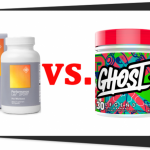 Ghost Legend vs. EVL ENGN presents two pre-workout supplements for people who want to get intense workout support. Ghost Legend focuses on enhancing your blood flow and muscle pumps to enhance your overall physical performance and muscle gains. EVL ENGN is a premium but mild pre-workout supplement which features several proprietary blends. Nonetheless, it increases your workout energy, power, and focus. Is one formula superior to the other? Let’s find out in this review. Ghost Legend and EVL ENGN are both pre-workout supplements which intensify your muscle pumps and improve your focus. How are Ghost Legend and EVL ENGN formulas similar? Ghost Legend and EVL ENGN both provide the same branded form of CarnoSyn® Beta-Alanine. However, Ghost Legend offers a higher dosage for CarnoSyn® Beta-Alanine (2,000 milligrams). In addition, both supplements offer two forms of caffeine (dicaffeine malate and caffeine anhydrous). On top of that, EVL ENGN uses mostly branded forms. Moreover, it is difficult to compare ingredient amounts since EVL ENGN hides its dosages in shady proprietary blends. 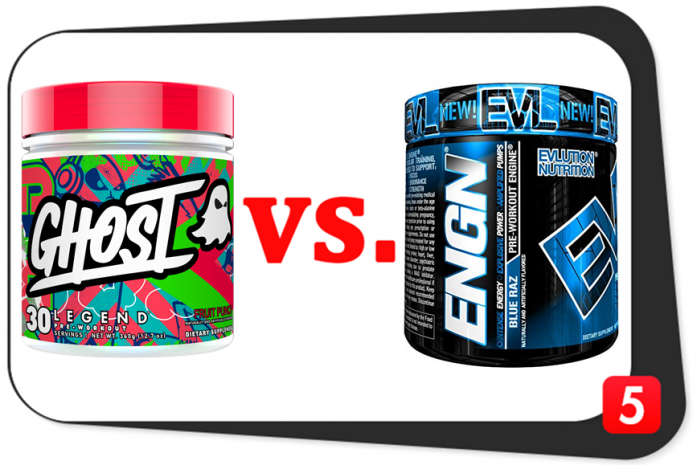 How are Ghost Legend and EVL ENGN formulas different? Both formulas supply agmatine sulfate. However, EVL ENGN uses a branded with unknown quantity. In addition, this supplement also uses a branded form of dicaffeine malate. The implication: when we talk about most of the similar ingredients of Ghost Legend and EVL ENGN, the latter offers the better form. However, the manufacturer didn’t state the percentage of alpha-GPC on EVL ENGN’s label. For its part, Ghost Legend has 50 percent alpha-GPC content. Ghost Legend is transparent when it comes to the forms and dosages of its ingredients. On the other hand, EVL ENGN contains two proprietary blends which hid the dosages of some of its ingredients. It also uses more branded ingredient forms than Ghost Legend. However, the company hides the individual ingredient dosages of EVL ENGN. While EVL ENGN offers several branded ingredients, it doesn’t mean it is more potent than Ghost Legend. For its part, the latter provides precise ingredient dosages. Even though some ingredients are in generic forms, they have excellent bioavailability. EVL ENGN used proprietary blends to hide the dosages of some of its ingredients. We suspect these components might come in lower dosages than you expected. In addition, the ingredients with unknown dosages in EVL ENGN are mostly the branded ones. Branded ingredients are sometimes more potent than generic ones. However, the dosages of branded ingredients also matter a lot. It’s hard to determine their potency when there is a lack of transparency. On the other hand, the transparent formula of Ghost Legend clearly showed the forms and dosages of its ingredients. This product is a potent hybrid pre-workout formula. I contrast, EVL ENGN is a mild formula which isn’t a standalone supplement if you are after significant physical performance enhancement. In addition, the ingredient combination of Ghost Legend is better for your body and mind. Therefore, Ghost Legend contains the better formula. Advanced Delivery No, flavored powder only. No, flavored powder only. Stim-Free No, it contains Caffeine Anhydrous 165 mg and DiCaffeine Malate (delivering 37mg Caffeine) 50 mg. No, it contains Caffeine Anhydrous and Infinergy™ (DiCaffeine Malate). Both are of unknown quantity. EVL ENGN contains more branded ingredients than Ghost Legend. In addition, the former contains fewer additives. With that, you can easily conclude EVL ENGN is the better supplement. However, ingredient dosages matter, too. This is exactly what EVL ENGN defies – its two proprietary blends serve as hard evidence. Nevertheless, the entire formula of EVL ENGN is better than Ghost Legend because of its branded ingredients and fewer supplement additives. EVL ENGN might be a mild formula; however, it is undeniably a premium supplement. These prices are from GNC in 2018. 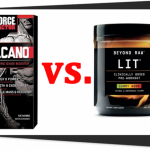 If you want to shop around for a better deal and save a few dollars, you can also buy these formulas from other locations such as Bodybuilding.com and Amazon. 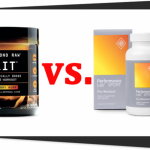 Other retailers may or may not have better prices for these supplements. Ghost Legend features mainly generic ingredients with effective dosages. It may have a cheaper price tag, but it has more ingredients than EVL ENGN. In addition, Ghost Legend provides benefits for your body and mind. It also did not sacrifice the quality of its ingredients at the expense of its price because it contains effective and absorbable ingredients. In terms of pricing, Ghost Legend is cheaper than EVL ENGN. 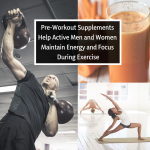 It delivers benefits that you expect from a pre-workout supplement. 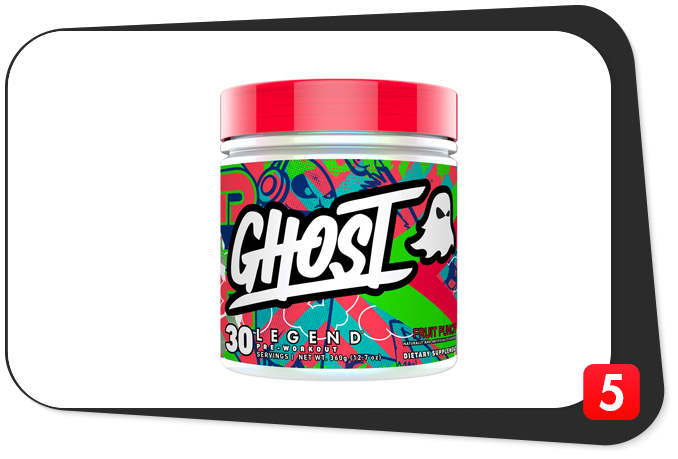 Ghost Legend is a hybrid formula which also benefits your mind. On that note, it is worth your savings in more ways than one. Ghost Legend vs. EVL ENGN: Which is Better? While EVL ENGN is a premium supplement, it is relatively mild. If you are after significant performance enhancement of your body and mind, the effects of EVL ENGN might not suffice. On the other hand, Ghost Legend provides you with an intense N.O. boost to fuel your workouts. In addition, Ghost Legend gives you nootropic benefits. It doesn’t get any better than that – it’s more than what you expect from a pre-workout formula. EVL ENGN may have better ingredients than Ghost Legend, but the latter’s components packs the punch you crave. Ghost Legend is cheaper than EVL ENGN. However, Ghost Legend doesn’t fall short on its pre-workout potential. Our take: save your money and go for Ghost Legend. It is worth every penny.